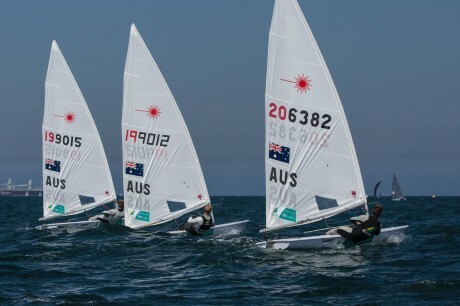 Home / ILCA / laser / LaserPerformance / olympics / paris 2024 / PSA / world sailing / An Explanation to the Fast Aussie Lasers? LaserPerformance has posted today this communiqué, alleging that not only did ILCA tolerate infringements to the Laser Construction Manual by Performance Sailcraft Australia, but also agreed for some infringement to become part of the new construction methods by the 3 builders. The mast rake was also allegedly adjusted to the sailor's demands! According to LaserPerformance, this made "all previous Lasers technically obsolete" and "no notification of the breach in protocol was reported to ISAF/WS or the Laser community at large." 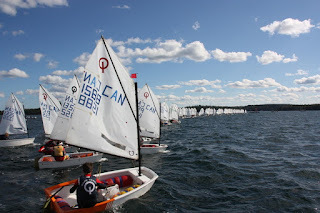 In 2014 LaserPerformance received complaints that PSA-built Laser boats sold to sailors and used at the 2014 Santander ISAF Sailing World Championships were built differently than the Laser Construction Manual (LCM) and thus sailed faster. LaserPerformance acquired PSA Laser boats, measured and weighed them and cut them open for inspection. The examination by LP revealed that PSA was knowingly building boats that did not conform to the Laser Construction Manual. This was reported to ILCA which sent their Technical Officer to inspect PSA boats.